We are a trusted trader, importer, supplier, distributor and wholesaler of a wide range of Acrylic Sheets. These products are manufactured using optimum quality raw material and advanced technology at vendor’s end. Our offered range includes Acrylic Sheets, Acrylic Offcuts, Colored Acrylic Sheet, Plastic Ply and many more. Our customers can avail these products in various sizes, colors, thicknesses and other specifications in the market. 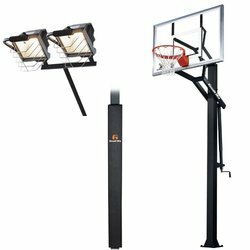 These products are demanded for their features lightweight, dimensional accuracy, transparency, chemical resistance, flexibility, easy installation and durability. 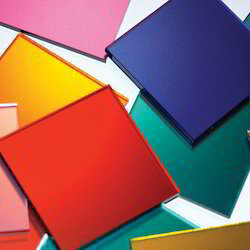 We are instrumental in offering a wide array of Colored Acrylic Sheets to the clients. Our vendors manufacture these products using high quality raw material and hi-tech machines. To meet the variegated demands of our clients, we offer these products in various specifications. Further, these sheets offer excellent clarity (92% light transmission for colorless material).